Berlin-based product designer Uli Budde studied both at the University of Applied Sciences in Potsdam/Germany and the Design Academy Eindhoven. He worked as a freelance designer for various studios in the Netherlands including Jongeriuslab/Hella Jongerius, Baukje Trenning and Joost Grootens. 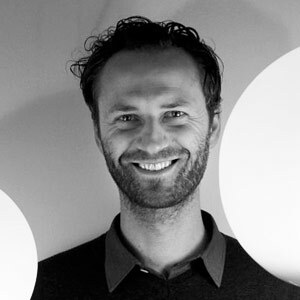 In 2005 he co-founded Officeoriginair together with Dutch designer Ivan Kasner. Besides his collaboration, Uli Budde works independently from his studio in Berlin since 2009, concentrating on projects ranging from furniture, tableware and lighting. The work of Uli Budde investigates the well-known everyday object, finding new solutions to transform the familiar in a thoughtful and functional way. With a close relationship to familiar products, objects and situations, Budde's designs take on an easy understanding and acceptance into daily life - a clever simplicity with an unobtrusive presence. Ultimately, Budde's objects carry a unique fingerprint, a distinctive and poetic graphical quality that never loses sight of functionality. Amongst his clients you will find Royal VKB, Vertigo Bird, Marset and others. His projects with Officeoriginair are honored with different awards like the Dutch Design Award, the Gio Award, two Red Dot Awards in 2012 and the Design Plus Award 2014. In 2010 and 2011 Uli Budde received the Faces of Design Award.